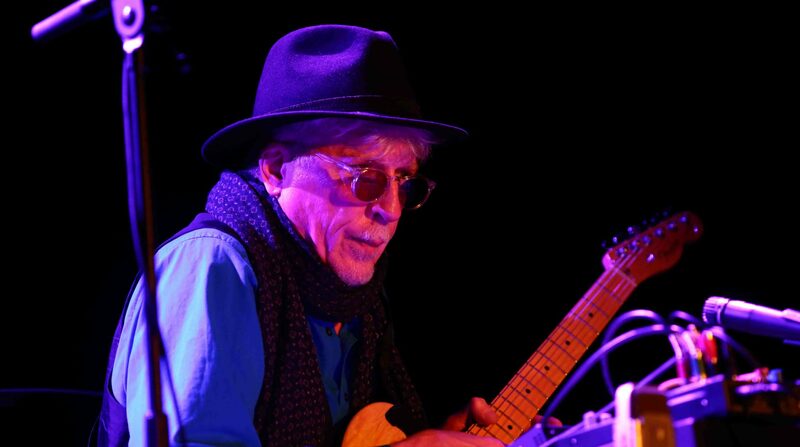 Rhys Chatham plays a solo set on trumpet, electric guitar and bass, alto and C flutes and voice, going through his setup of multiple digital delays. 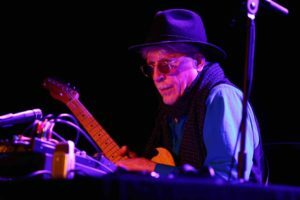 Rhys’ influences of early minimalism figure strongly in this set, as well as the influences of his No Wave days at CBGBs, Max’s Kansas City and the Mudd Club in New York during the 70s and 80s. Part One of Pythagorean Dream is comprised of a brief trumpet intro, followed by a guitar piece which implements a finger picking technique (Chatham has long been a fan of this style; John Fahey was one of Chatham’s teenage musical heroes), before moving to an eBow section, and concluding with the fast tremolo flat-picking technique used in the context of his 100 guitar pieces. 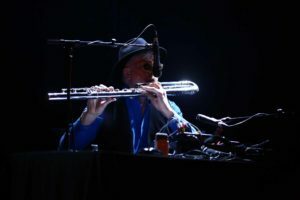 Part Two is primarily about Chatham’s return to the flute, the instrument which sparked his love of contemporary music; which he mastered in his adolescence prior to experiencing the early Ramones show at CBGB’s which caused him to changed course and concentrate on the electric guitar. Whilst composing this solo work, Chatham figured that the flute’s timbre would make a suitably interesting contrast to the guitar and trumpet, which led him to pick up the instrument again. Pythagorean Dream features Chatham on C, alto & bass flutes. The recording is brought to a close with a final guitar piece.